Annually, Glen Eira City Council, Melbourne, celebrates the work of Victorian artists of national significance with a survey exhibition. 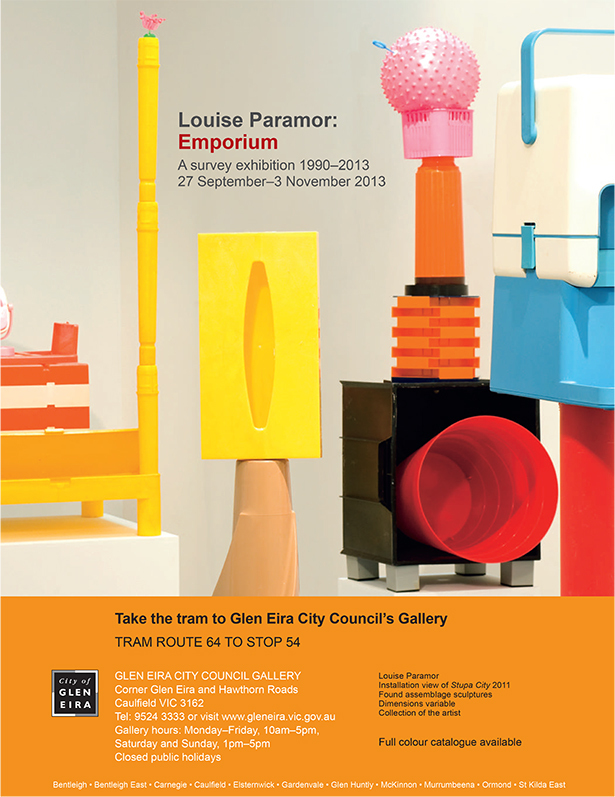 In 2013 Louise Paramor was invited to participate in the programme and Louise Paramor: Emporium - A survey exhibition 1990-2013 was held at The Glen Eira City Council Gallery from 27th September to the 3rd November. The exhibition featured over fifty works and was curated by Diane Soumilas. 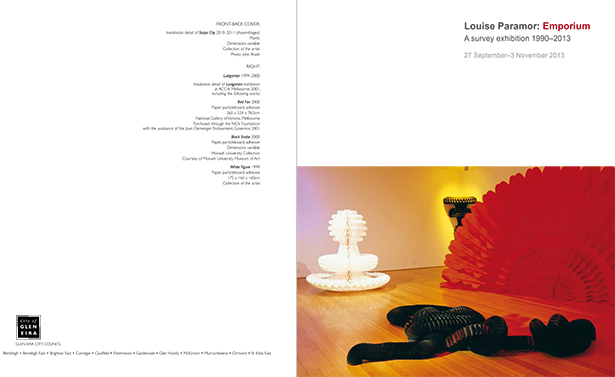 A full colour catalogue with essays by Diane Soumilas and Jason Smith accompanied the exhibition.